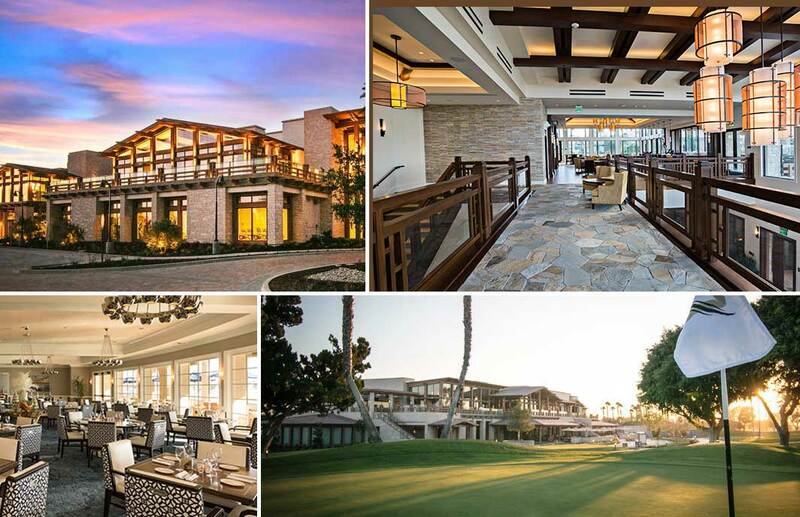 The all new Newport Beach Country Club spans nearly 65,000 square feet with seamless indoor‐outdoor areas. This two-story centerpiece makes an iconic architectural statement on coastal California’s beloved Craftsman design. The upper level includes the indoor/outdoor Seahorse Bar, dining room, private dining, 4,000sqft Newport Ballroom and flexible-space Ocean Boardroom. The ground level houses a golf shop, exercise and fitness center, men’s and women’s grills, locker rooms, and extensive outdoor patio dining. Two new swimming pools, a lap pool and a children’s pool are included on the grounds. The Newport Beach Country Club is home to the PGA Champions Tour Toshiba Classic which continued to take place at the Newport Beach Country Club during the renovation. The course remained open during the construction period with no interruption to play or member enjoyment. TynanGroup was the Project Manager for the construction of the Newport Beach Country Club.